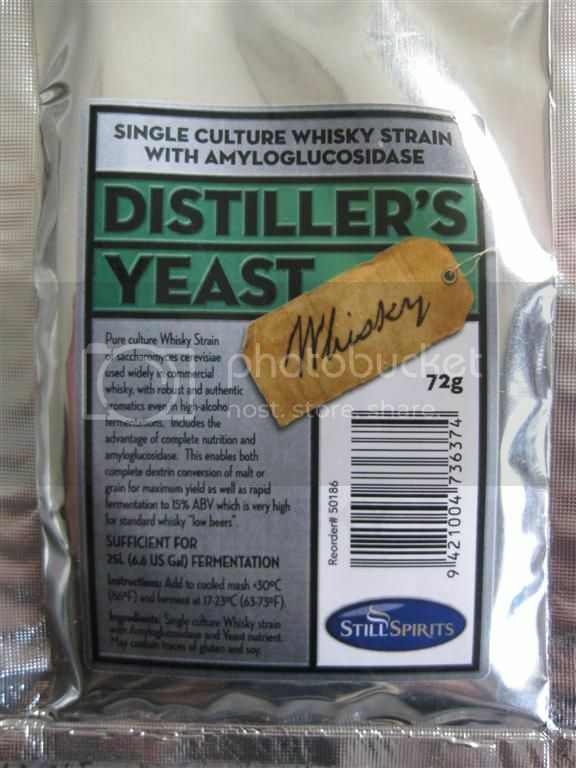 Aussiedistiller, Home Distilling, Moonshine, Home Brew • View topic - Still Spirits Distillers Yeast. I would like to know if there is anyone who has tried this yeast and can advise me what to expect. Seeing as I am doing all grain whiskey mashes, I don't want to destroy one as there is a fair amount of work and time involved in knocking one up. Re: Still Spirits Distillers Yeast. I can't comment other than to say I've read on US boards where a lot of folks are happy using a whiskey yeast with AG. Could it be the same one?? The yeast will be sent today. If you get onto Dave's home brew website I'm sure you would be able to buy some of this yeast online. Divey wrote: The yeast will be sent today. I wet myself a bit when I read that!!! It's gooone mate, on it's way. I have tried the whisky and also the rum version of these yeasts. both were good definatley worth a try i got good flavours and a higher yeild. Has anyone finished a run of this lately ? LOL i just paid $6 for bakers yeast - Saccharomyces Cerevisiae.... aparently the Still spirits version has extra nutrients and is optimised for whiskeys etc .... sounds like advertising ,,,, all i read it blah blah blah "bakers yeast"
Theres also some enzymes inthe packet too. I would use the rum version again but I don't drink that much rum so I can justify the spending the extra cash on a specific yeast for a molasses wash for the extra yeild if I do. These yeast packs are good but just not nessercary with the tried and true recipes and similer washes. Yep, pretty much all brewing/distilling/baking yeasts are Saccharomyces Cerevisiae, except for some fruit specific yeasts. There is a Vodka yeast available now, might be good for neutrals..
O/T ,I still like the Vodka Star, I heard a rumour that it it has been canned due to the presence of Urea in it. :? equipment: Essencia Reflux Still, 25l boiler.